It’s been over twenty years since it last aired on television, and it has also been over ten years since he last did anything cinematic or TV-based, but both Twin Peaks and its creator David Lynch have returned to our screens at last. Born in 1946 and moving all across the United States, Lynch has wowed us across the decades with his films, television shows, artwork (inspired by Francis Bacon) and even launching his own brand of coffee (the David Lynch Signature Cup label). This is one filmmaker who has been around and branched out to the most unlikely of areas, and we aim to introduce you to him today. 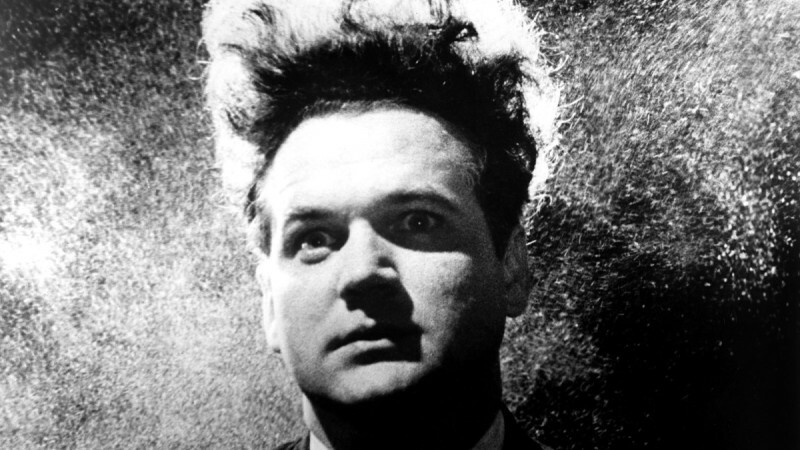 Here are the top five David Lynch films to watch before tuning into the Twin Peaks revival. The feature film that started it all, Lynch’s debut feature makes for a unique viewing experience. The main plot revolves around Henry, a young factory worker who is forced into marriage and parenthood after impregnating Mary X. Upon the birth of the baby (a hideous stop-motion puppet direct from the Uncanny Valley), all kinds of surrealist hell begins to break loose. This is one very interesting horror movie, complete with monochrome cinematography and the kind of body-horror and surrealist imagery direct from the artwork of Francis Bacon and foreshadowing the work that would become commonplace in the horror scene of the 1980s. All of this is underlined with the constant droning of industrial sounds and the squalid set design, suggesting a unique way of projecting the ‘American Dream’ as a nightmare. It even enters borderline Monty Python territory at one stage with a dream sequence involving a severed head being used to make erasers on the back of pencils. But good luck trying to decipher it, to this day, Lynch refuses to divulge information about the meaning behind the plot. Lynch’s first feature for a major Hollywood studio, The Elephant Man tells the story of Joseph Merrick (renamed John for the film), a disfigured man whose large tumours on his head led him to be dubbed the ‘Elephant Man’. The film offers yet another memorable viewing experience with Lynch carrying over his monochrome cinematography and industrial sounds and set design from Eraserhead (especially in the opening and a dream sequence) and relocates them to recreate the underbelly of Victorian society. However, Lynch also introduces an emotional core by presenting the trials and tribulations Merrick endures throughout his life, drawing a parallel with Tod Browning’s Freaks (1932) where you sympathise with the deformed rather than be repulsed and scared by it. And we must not forget the acting from a talented ensemble including the likes of Anthony Hopkins, Anne Bancroft, John Gielgud, a then unknown Dexter Fletcher, Wendy Hiller and of course John Hurt as Merrick, giving it his all to present a three-dimensional character under layers of latex. The most prominent aspect of this film however is the make-up, created through real-life casts of Merrick’s body parts and responsible for giving birth to the Academy Award for Best Make-up. It is also unlikely to think that Mel Brooks, a man most famous for zany, politically-incorrect comedies and satires, produced this feature and would launch Lynch into the mainstream along with a second filmmaking David (Cronenberg with The Fly) six years later. This proves that not only has Lynch placed his own personal stamp on the art of cinema, but he also allowed other filmmakers and revered cinema idols to travel unexpected paths in the world of cinema and opened the world up to filmmaking practices often overlooked by many. Now, onto Lynch’s cinematic return to form, after the financial failure and muted response to Dune, and a staple in the neo-noir genre. Blue Velvet (named after the song composed by Bernie Wayne and Lee Morris) tells the story of Jeffrey Beaumont (played by Lynch stalwart Kyle MacLachlan) who returns to the town he grew up in, only to get tangled up in the seedy underbelly of the quiet 1950s-esque suburbia he knew. Who’d have thought we could receive an intriguing mystery story bookended by a shot of a severed human ear crawling with ants in a bed of roses? The performances from the cast are top-notch, but of course we must single out Dennis Hopper as the gas-inhaling, Pabst Blue Ribbon swigging, sadomasochistic mobster Frank Booth, oozing intrigue and not being afraid to drop numerous f-bombs and drag the audience along into really uncomfortable areas (such as implied child molestation). Although more restrained in the surrealism department than some of his other features (save for the ear and a random shot of a candle being blown out), Blue Velvet nonetheless continues Lynch’s other trope of violently subverting the ‘American Dream’, this time taking the realm of suburbia and introducing elements more common to a 70s New Hollywood feature than The Cosby Show (although with recent news… no, let’s not go there). After years of getting more surrealist and narratively cryptic to varying responses, Lynch takes an unexpected turn with 1999’s aptly titled road-trip biopic The Straight Story. The year is 1994, and upon hearing the news that his brother could be dying, Alvin Straight (Richard Farnsworth in his final screen appearance before committing suicide after a battle with prostate cancer) boards his lawnmower and sets off on a cross-country journey to visit him. As surreal as this may sound, this really did happen, just type Alvin Straight into whichever search engine it is you use. Anyway, the film proves to be a fresh change of pace for Lynch as he presents a simple, yet affecting tale baring many parallels to the work of Ernest Hemingway (as Roger Ebert was keen to point out in, what could possibly be, his first positive review for a David Lynch film). Another sight to behold is the photography by Freddie Francis as he presents a picture postcard view of the American Midwest, sometimes tinged in the orange of the summer sun. Last on our countdown of essential Lynch films is his most popular from this century, the surrealist neo-noir Mulholland Dr.
What we receive is a Chinese puzzle box of a plot featuring a car crash, a blue box, a director’s struggles, a murder conspiracy and a young starlet’s dream of hitting it big (all originally intended to be part of a TV series pilot). One thing that is a real pet peeve of us cinephiles is the lack of Oscar recognition (bar a sole directing nomination for Lynch) this film received, especially when it comes to the performance from lead actress Naomi Watts. Her performance is so entrancing, it makes one wonder why on earth AMPAS chose to snub her performance (apart from it being a really competitive year). Add to that a neo-noir plot that just keeps you guessing and layered with symbolism and subtext, further demonstrating Lynch as a master of that particular genre. We’re also treated to a talented supporting cast including the likes of Laura Harring, Justin Theroux, Melissa George and even Billy Ray Cyrus as the pool cleaner cheating with Theroux’s wife. Given its status as a ‘poisonous valentine to Hollywood’, this film also makes for a great double feature with Billy Wilder’s Sunset Boulevard (as both features cover the subject of broken dreams in Tinseltown). And being David Lynch, Mulholland Dr is not without its surrealist and nightmarish visuals, such as a figure in an alley that looks like she escaped from the set of The Mighty Boosh and of course the second half of the film when the box opens and the twists come in. Want to know what it’s all about? Buy a copy, I’m not divulging spoilers. Shop from thousands of DVDs and cheap Blu Rays today on the musicMagpie Store. Prices start from just £1.19 and you’ll get FREE delivery with all orders too! ← Cult movies: what makes a film a cult classic?